Should you rent or buy in 2015? 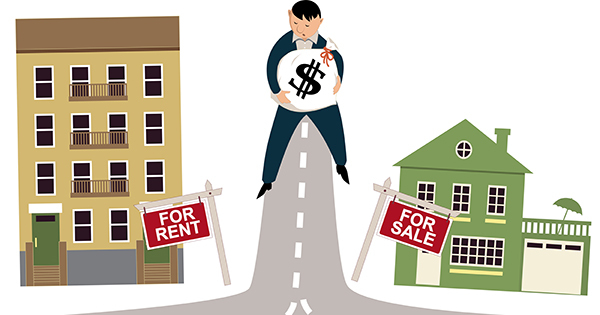 Should you rent or buy a home in 2015? Of course, the answer to this question isn’t black and white—it depends a lot on your individual financial situation and lifestyle. Renting is a great option if you are not planning to stay in the area for more than a couple of years or are in a transition period (personally or financially). Someone else is often responsible for maintenance, yard work, etc. As mentioned above, homeowners who have a fixed-rate mortgage have “locked in” their housing payment for the next 15 or 30 years. 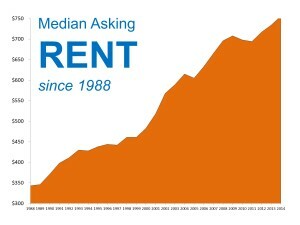 Renters, however, often find their rent payment increases each time they renew their lease. If you’re just planning to rent for a year or two, the impact of the price increase might not be so bad. But it can be problematic in the long term. 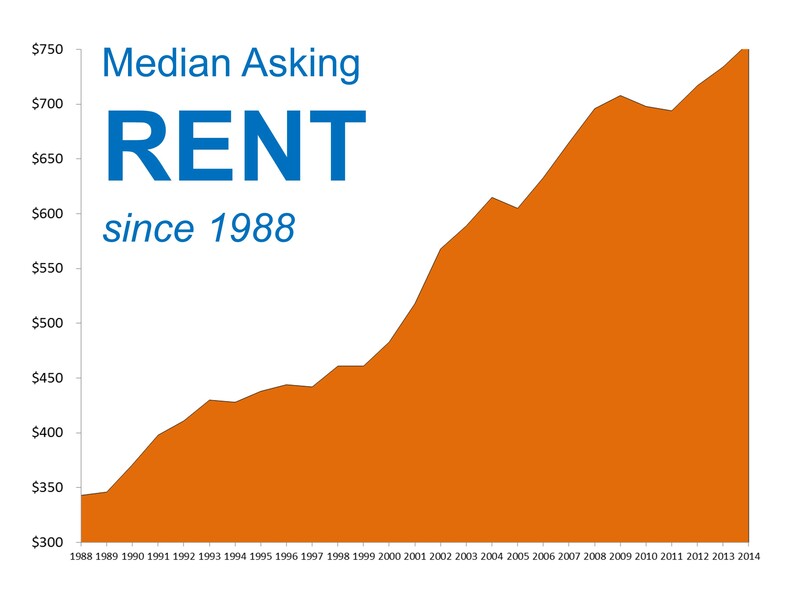 Historically, the cost of renting has skyrocketed in the past few decades (see the chart), and 2015 doesn’t seem to be changing that trend. The New York Times has a handy calculator tool that can help you get a ballpark idea of which is the better deal for you—buying or renting. Use the calculator to enter in information about the price range of home you want to live in, how long you plan to stay, current mortgage interest rates, tax information and more. 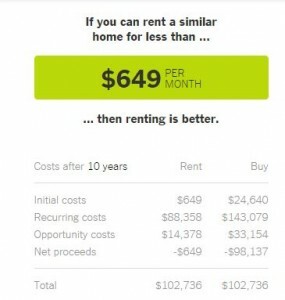 The calculator will then give you an estimated dollar amount that you can use to make a judgment: if your estimated monthly payment is below a certain amount, then renting is better, but if it’s higher then buying is the better investment. Of course, this is only a tool to give you a ballpark figure, but it can help you on your way to making an informed decision. If you’re seriously considering making the jump from renting to buying, or just want to explore your options, you can talk to an expert at The Haro Group. We’ll help you figure out the numbers and find the right home in your price range.